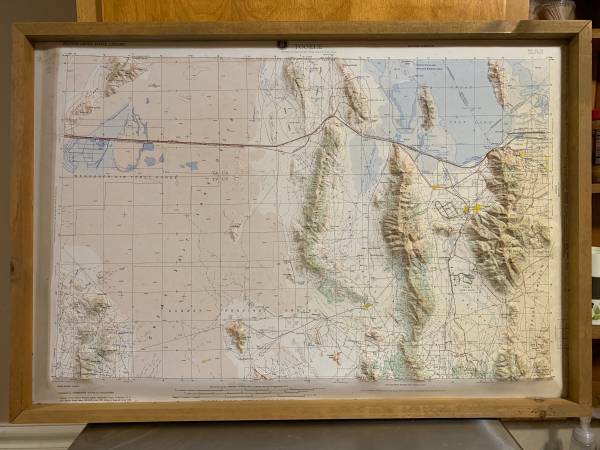 Raised relief maps are the sort of maps that have the mountains raised up off the map surface. They show the mountains as actual miniature 3D mountains. The pics are some of what I'm looking for. I'm specifically looking for the USGS Sections by Hubbard Scientific. The pics are some of what I'm looking for. I'll offer $10 per map for broken maps in terrible condition, up to $40 per map for maps in good condition.